I found these two ice giants orbiting each other on the edge of a solar system. I didn't know that it would even be possible regarding their size and proximity. 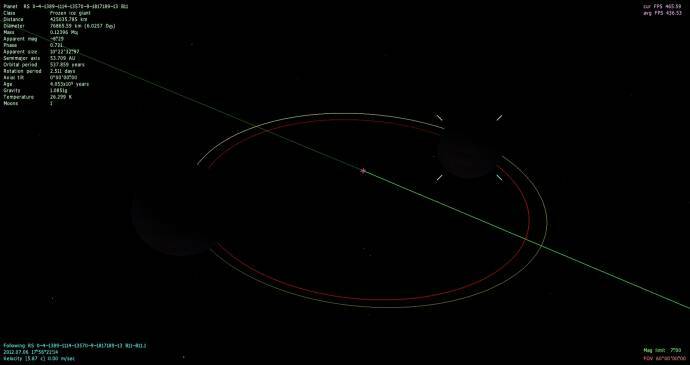 Is this a bug in the engine or would it be possible for two ice giants to orbit each other so close to each other? It is possible, though unlikely. During the formation of a solar system, gas giants will migrate through the system to different orbits (this is thought to be how Hot Jupiters and Neptunes end up so close to their parent star). 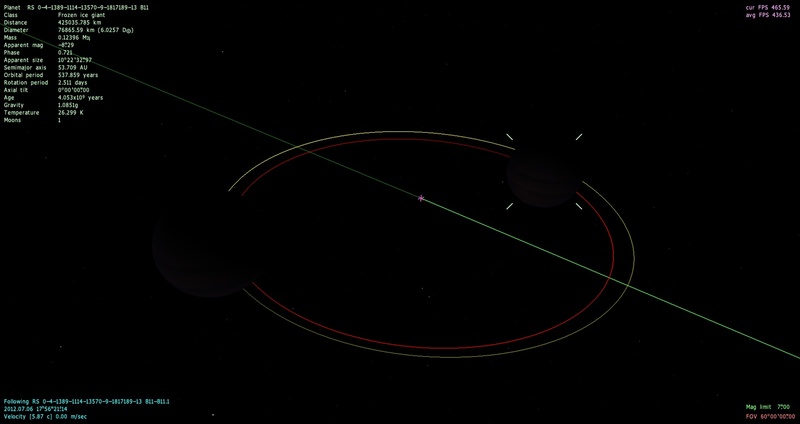 It's possible for two gas/ice giants to get close to each other; usually this will lead to one being thrown to the sun and one away from it, or the two switching orbits like Jupiter and Saturn are thought to have done, but it their speeds just happened to match up very well, they could catch each other and become a double planet. There is at least one example of a major world being caught into orbit in our own Solar System: Triton, which is very likely to be a Kuiper Belt Object who managed to be caught by Neptune.